The Les Paul Standard Black Royale has all the classic features of an Epiphone Les Paul but with a metallic black finish with silver sparkle body & neck binding, elevated silver pickguard, Alnico Classic & Classic Plus humbucker pickups, Grover® machine heads, LockTone™ Tune-o-matic bridge and LockTone™ Stopbar tailpiece. The Epiphone Les Paul Standard Black Royale delivers the signature sound of what many consider the ultimate solid-body guitar. 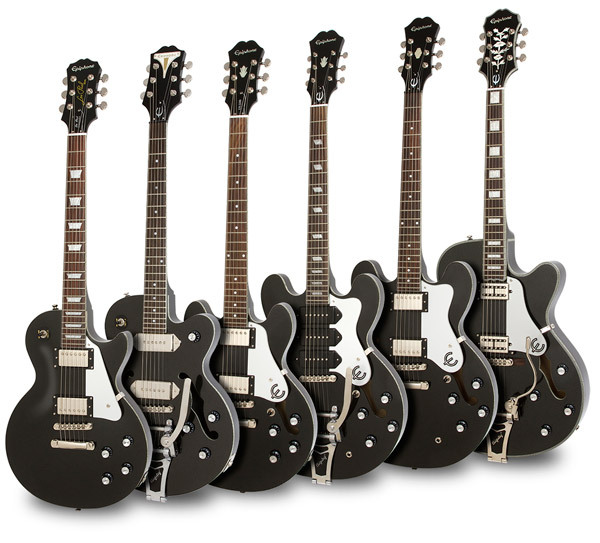 Like the Les Paul Standard Black Royale and want to see it in the Hall of Fame? Rate this guitar now (click on the stars below)… at least 20 votes with over 75% average rating gets this guitar into The HOF – the Guitar Planet Hall of Fame and from there into the Guitar of the Year award.